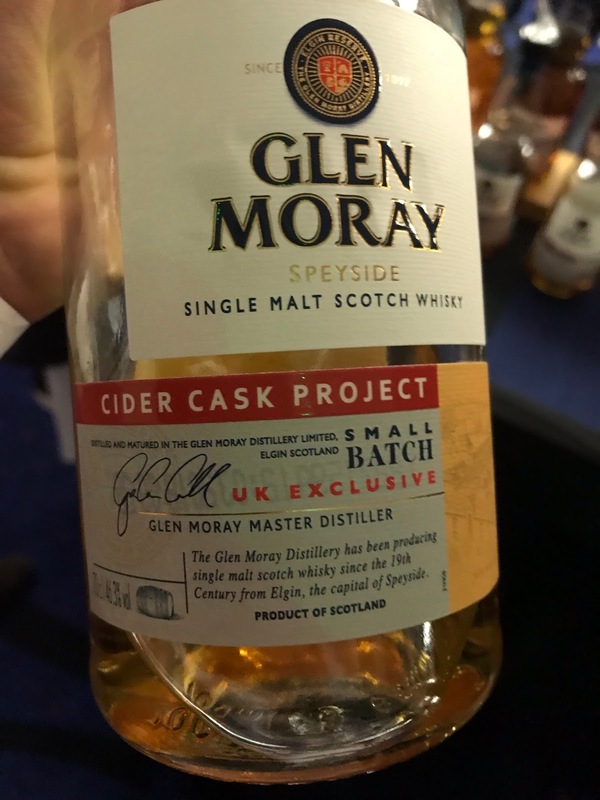 Glen Moray is one of those distilleries that keeps on experimenting, thanks to a handy ownership by Louis Vuitton Moët Hennessey who own a load of winerys. Unrelated to that, I tried an amazing cider from Thistly Cross matured in Glen Moray whisky barrels. Maybe one of my favourite ciders ever actually. It was really good. Anyway, it seems some of those barrels have come back the other way and finished off this UK exclusive. Are cider casks legal as per the SWA? And because I’m me, I’ve got an indie too! Nose: Fresh and fruity, tonnes of green apple and pear esters, intense sour green apple chewy sweets, more and more of the cider as it develops. Taste: Soft arrival, sour green apple, some red apple, some vanilla hard candies, Werther's Originals, caramel, quite creamy then becoming drier into the finish. Finish: Medium length. More toffee and caramel here with an oaky kick very late. UK exclusive, 2000 bottles. An interesting one to try. Not exactly sure that the cider has done a lot though. Nose: Light nose. Some malt, a little pineapple, very fresh and very very clean, some pastry and vanilla, a little grass maybe, hessian. Ethanol. Taste: Soft and light, some grass up front then more fruity with pineapple and lemon, green apple, then malt, a little earthy perhaps, ginger and black pepper spice. Finish: Medium length. Some chocolate and oak, quite dry here with a little green apple. I guessed this was a 10yo Balblair! Not exactly what you'd expect from a 19yo but consistent with what Cadenhead's do from Moray.